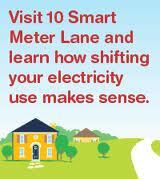 “CLECO” will soon begin installing “smart” electric meters at the homes and businesses of its 277,000 customers. They are awaiting approval of the Public Service Commission, to whom they sent an application on June 9. Meters and their installation will be paid for with $52.9million of its own money, and $20million in stimulus money. Whether you live in the CLECO service area or not, you’re helping to fund the project. What will be the benefits to CLECO and its customers as a return on their investment of corporate capital and taxpayer funds? 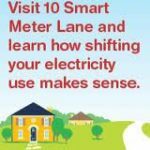 Smart meters are electric meters that send a meter reading over the internet to the utility company at a preset frequency, usually every hour, rather than having the meter manually read about once a month. Obviously the first thing they’ll do is put the meter readers out of work. The argument in their favor is that if consumers know the times of day that they impose peak demands on the utility, they will shift their lifestyle so these peaks occur during times of day when electricity is less costly, as rates vary throughout the day according to demand. So, how many of you can change the time you bathe to go to work, or the time of day your kid’s bathe to go to school? Are you likely to eat at different times of day in order to prepare a meal and wash dishes during less expensive rate periods? Most of us don’t have that flexibility. Smart meters also send a signal to the utility in the event of a power failure, thus, they say, allowing for a more accurate awareness of the location of a problem and a more rapid response. Conversely, they allow for a remote disconnection if you are tardy making a payment – you just go dark! While proponents of smart meters suggest that consumer bills will go down, for the reasons disputed above, consumers in Texas actually saw their bills go up, significantly. “Now, it’s just as high as my mortgage. My mortgage is right at $800, my electric bill is $755” said Bruce Stovall. SDG&E estimates the up-front capital expense of the overall system at about $500 million. The overall savings to customers will outweigh upfront costs (over the 32-year life of the smart meter system) by $60 million to $65 million. Twelve percent gain in 32 years? Methinks there are better places to put our money. Next Article Energy Independence? It’s Doable.